The White House on Thursday made clear that it would back the "cleanest possible" debt ceiling increase despite calls from conservatives to seek spending cuts in return. 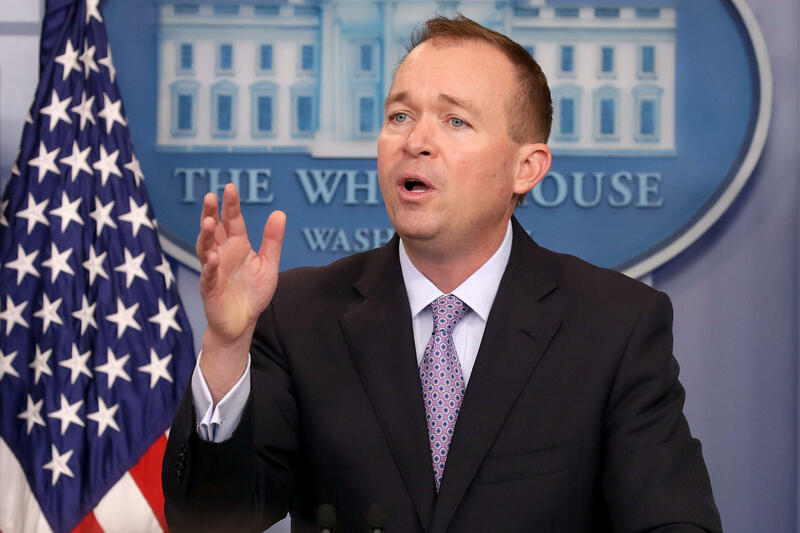 Office of Management and Budget Director Mick Mulvaney said at a briefing Thursday that the Trump administration would not seek any spending cuts in a debate on increasing the debt ceiling, which is a demand members of the Tea Party and conservative Freedom Caucus in the House have been advocating. The debt ceiling increase, Mulvaney said, may need to be tied to a continuing resolution (CR) at the end of September to keep the government open and prevent a shutdown. Mulvaney previously seemed to be at odds with Treasury Secretary Steve Mnuchin on a clean debt ceiling increase. Congress will likely have to raise it by the end of September as government agencies and outside think-tanks have eyed the drop-dead deadline as the beginning to middle of October. The government has been relying on so-called extraordinary measures to continue borrowing and have sufficient cash to make its usual payments since mid-March when the suspension of the debt ceiling expired. Lawmakers last lifted the debt ceiling in October 2015, which was part of a bipartisan budget agreement that also lifted spending levels for two years for both defense and non-defense domestic programs. While Republicans have put up a fight over the debt ceiling in the past, they likely realized that they need Democratic votes to lift it in the Senate. The Senate is expected to go on recess Thursday for the rest of August and the House left for its month-long break last Friday. CBS News' Major Garrett contributed to this report.